Whether you already own a credit card or you’re still in limbo about getting one, there are quite a few key points to consider when thinking about credit card choices. Refined Currency will be sharing a couple of advantages, disadvantages, and important tips to think about when it comes to your existing or future credit card life. In the event, something goes wrong with your purchase (e.g it becomes faulty) you are protected by the Consumer Credit Act (under section 75) for any item that is £100 and over. Debit cards don’t offer this protection, which is why credit cards may be suitable for expensive purchases. It is better to have a history than no history when it comes to credit. Why? If you decide to buy a house and you need a mortgage, the lender wants to be able to see a history of you being able to pay your debt back. When there is no history of how you handle repayments, your lender has no idea how you handle your debts. Minimum payments are designed to ensure you keep making payments to your lender. If you always choose the lowest amount to pay back you’ll be paying off the amount forever. Remember there is interest being charged on your balance so the next time you make a payment think about how long you want to be paying off that card. 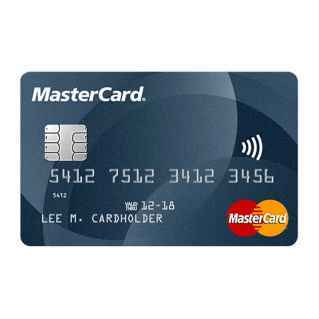 It’s very vital you shop around for the best credit card deals. It’s so easy to fill out an application but payments can be hard when interest rates are sky high. Taking a bit of time (even an hour) to compare credit card rates online can save you a lot of money. Choose a credit limit you’re comfortable with. Banks tend to do the deciding of what your credit limit should be but really fight for an amount you’re comfortable with. Depending on your spending skills, It’s very easy to get carried away so make sure you pace. Missing a payment can affect your credit score significantly. Missing payments can also mean that in the future when you want to borrow you may not be able to. Lenders want to be able to see that you can make stable, regular payments. When payments are missed there is also a late fee so now there are 2 reasons to never miss a payment.